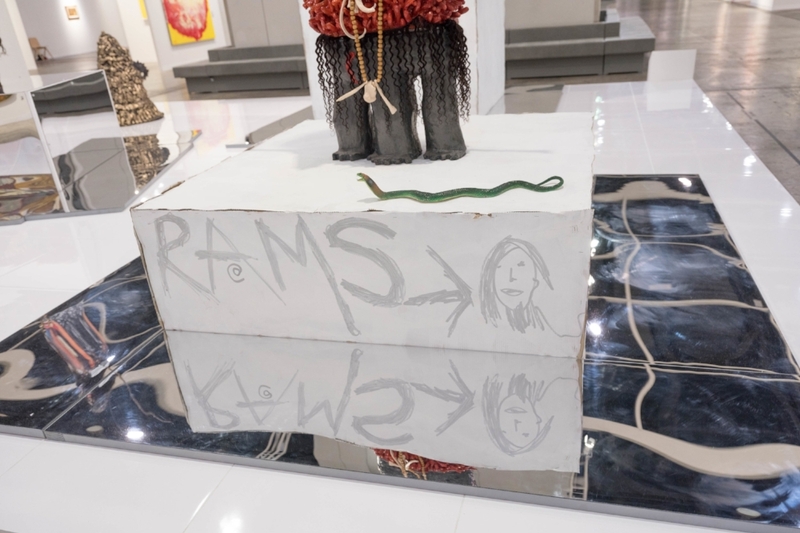 having noticed that there are not very many public monuments that celebrate non-White or non-Colonial figures, ramesh mario Nithiyendran tried to envision a different kind of way of memorialising people who slip through the cracks of what is considered acceptable. 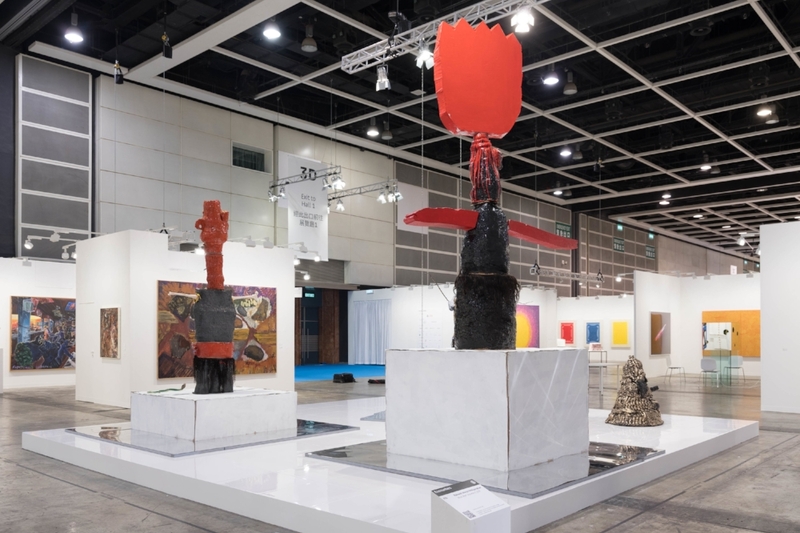 Mud Men: Volume II, Encounters, Art Basel Hong Kong 2018. Photo credit: Kit Min Lee. Courtesy the artist and Sullivan+Strumpf. 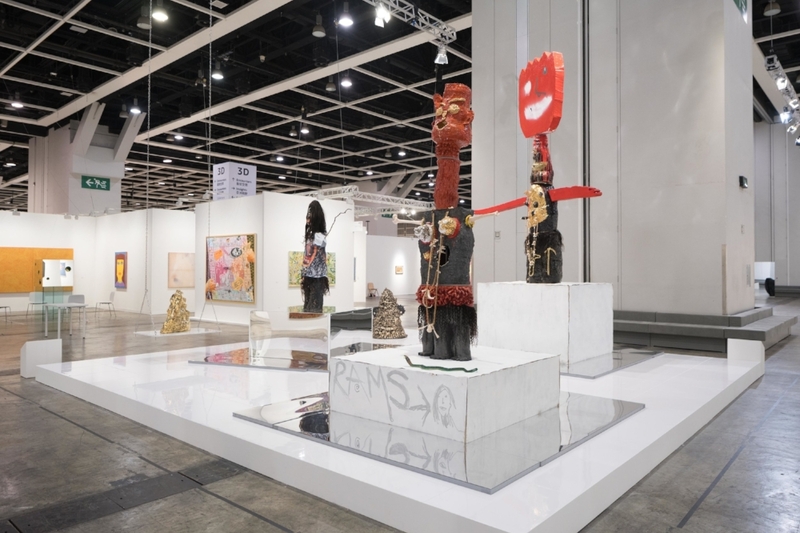 Following their debut at the Dhaka Art Summit 2018, Ramesh Mario's, Idols (2016-2018) travelled to Art Basel Hong Kong where they formed part of the Art Fair's Encounters, curated by Alexie Glass-Kantor. Commissioned and Produced by Samdani Art Foundation and Artspace, Sydney for DAS 2018 with support from the Australia Council for the Arts. 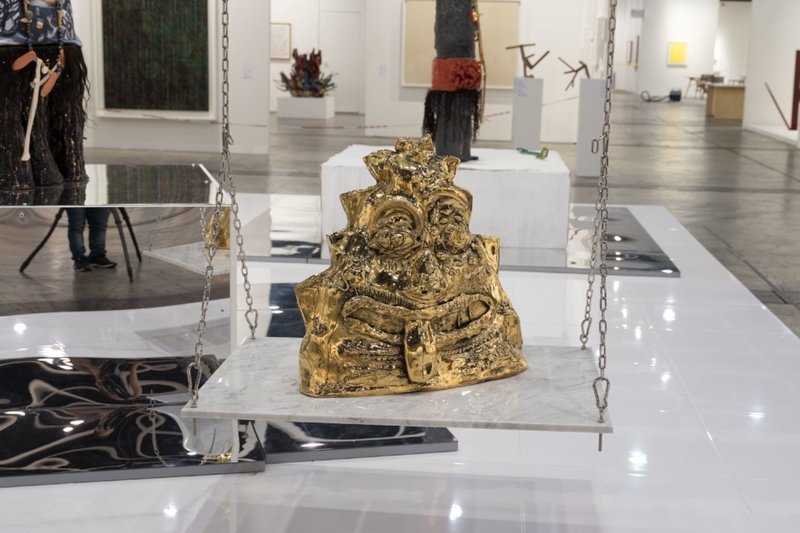 Courtesy of the artist, Samdani Art Foundation, Artspace Sydney, and Sullivan + Strumpf.